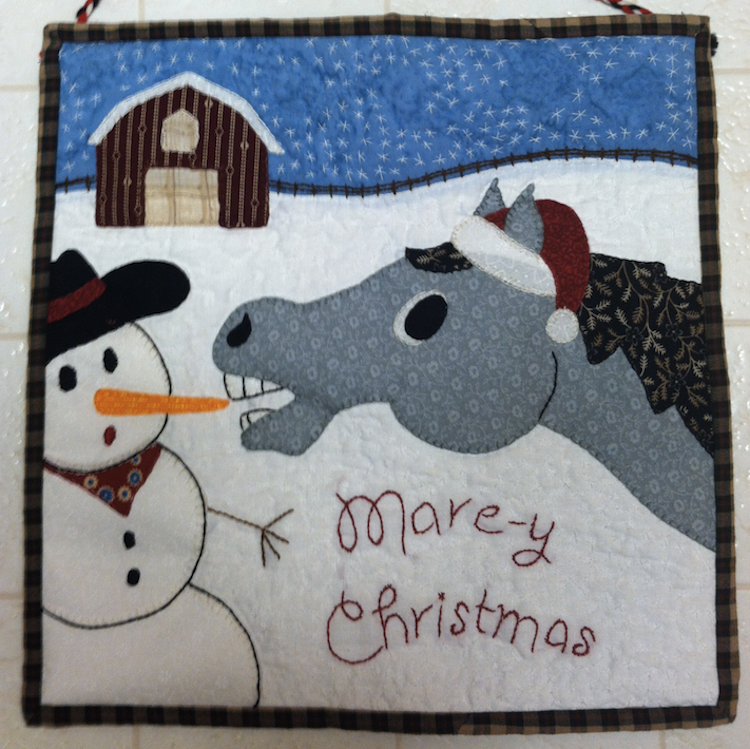 Recently, one of my readers, Jane, sent me a picture of her little quilt she had made from my block! She said that several of Auntie Mary’s neighbor ladies have taken copies of the pattern, they liked it so much! I’m so flattered, and I’m always thrilled to see finished projects made from any of my patterns. Thanks so much, Jane, for taking part in the Quilt-Along, and for sending me the picture and story of your finished quilt! OMG. This is so cute. I need to make this. I need to make this so bad. When will I ever find the time?? But I need to make this! I love it! I am still wanting to make one and wanted to have it done before Christmas, but that is beginning to look unlikely. Super little quilt and what a wonderful story! Thank you so much for sharing. And if Jane’s Auntie is reading this… Happy Birthday! I love this mini and the story behind it!! I also love word play and love Jane’s quilt and the story!! Have been smitten with that block since you first shared it and I love Jane’s story! My block is cut out and waiting int he wings…it’s been waiting for some time now. I may have to copy Jane and make my horse gray too…it fits perfectly for a dear friend of mine. Once I get over my fear of applique, I’ll be making more than one.